Orlean Beeson School of Education empowers its students to educate, lead, and serve; enriching the community and making a positive difference in the world. Orlean Beeson School of Education empowers its students to educate, lead, and serve; enriching the community and making a positive difference in the world. Additionally, the education school believes continuous, lifelong learning is vital to academic and spiritual growth. This belief coupled with a passion to enrich the education systems in Alabama and across the globe are recognized through numerous community partnerships and initiatives. Orlean Beeson School of Education, Frances Marlin Mann Center for Ethics and Leadership and The Hope Institute have partnered for Character Development Gives Hope. Through this partnership, participating schools will gain strategies that help them develop a culture that promotes character development. Character Development Gives Hope provides administrators and teachers with professional development, site visits to established schools of character, resources and research. Your support of this partnership, initiates change and brings hope to children by helping schools develop a culture of character. In 2017, Samford University Orlean Beeson School of Education entered a partnership with Fairfield City Schools to improve student learning and performance in mathematics. The Academy will serve to enhance Fairfield teachers’ mathematics content and pedagogy knowledge in order to strengthen their conceptual framework in mathematics and to equip them with research-based strategies in order to improve student learning. Fairfield City Schools coordinated with Samford University’s Orlean Beeson School of Education to hand select Academy participants. It is through the generosity of the Charles T. Campbell Foundation and the Alabama State Department of Education that the academy is able to provide this opportunity to Fairfield City Schools. For more information, contact Tarsha Bluiett. The Student Reading Achievement and Leadership Program is a collaborative partnership between GEARUP Birmingham, Birmingham City middle and high schools, and Samford University’s Orlean Beeson School of Education. Each summer, participants explore a variety of stimulating, hands-on educational activities focused on literacy, math, science, technology and leadership concepts. GEARUP stands for Gaining Early Awareness and Readiness for Undergraduate Programs. The education school’s summer academic enrichment program is one piece of a yearlong initiative designed to increase graduation rates and expose students to postsecondary education opportunities. In addition to academic enrichment activities, Samford’s GearUp participants discuss an array of college decision factors, including university location, size, degree options and financial aspects. Samford University’s Orlean Beeson School of Education has a nationally recognized program for preparing aspiring principals. The Mentors for Aspiring Principals program was established in recognition of the critical need to include mentors as a part of every students’ instructional leadership program experience. The program seeks qualified, trained mentors to support candidates throughout their field experiences. Mentors are required to participate in multiple visits and contacts with mentees. Additionally, aspiring principals are matched with external mentors who provided a safe, confidential space for discussing their observations and reflecting on their experiences. For more information, contact Kara Chism. Middle Grades Leadership Academy was formed to address the changing dynamics for grades sixth through eighth. The academy seeks to support schools, teachers and students with detailed knowledge, skills and strategies as identified by Tommy Bice, Jeanie Box, Peggy Connell and Yvette Richardson. 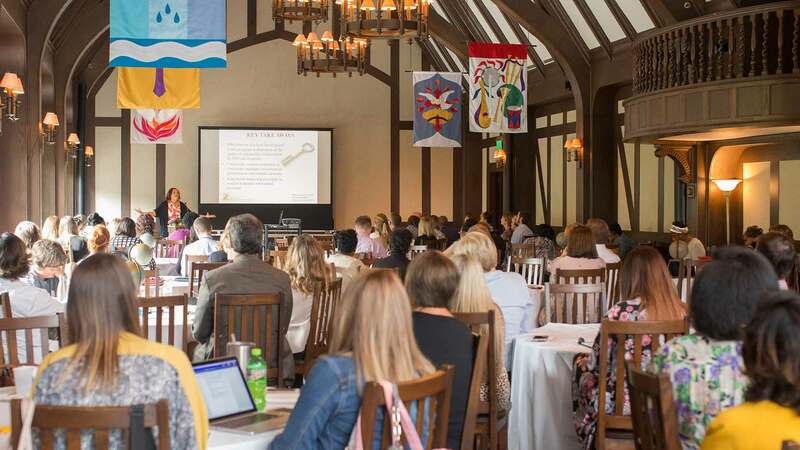 The Transformational Leadership Academy is a partnership between Samford University’s Orlean Beeson School of Education, School Superintendents Association of Alabama, Schlechty Center and Education Solutions. The goal of the academy is to collaboratively design professional development and support for Alabama superintendents. The academy offers sessions focused on understanding and embracing transformational leadership. The program includes learning how to attract and recruit talent, building the capacity of leaders to transform schools, developing shared leadership and empowering teachers as leaders. For more information, contact Peggy Connell. This grant allows Orlean Beeson School of Education faculty to invest resources in rural schools who are in need of best practices and standards of excellence in education. The project is a collaboration between the Alabama State Department of Education (ALSDE), University of Alabama, Auburn University and Samford University, and in conjunction with Edwards Educational Services and Council for Leaders in Alabama Schools (CLAS). The goal of the grant is to develop identified pre-service candidates who have potential to become highly effective SGI school leaders and visionary turnaround specialists, and to provide individual assessment and professional development to currently licensed school administrators who have the capacity and passion to serve as a turnaround leader in the state’s low performing rural schools. For more information, contact Jane Cobia. Since 2012, Turning Points has served as a next step for special needs students aged 18-21 who have an individualized educational program and who are currently enrolled in Mountain Brook and Homewood Public Schools. The program works to provide social, educational and occupational growth and development for each student. The program also gives students a glimpse of the college experience offered at Samford University. Students eat in the cafeteria, take part in campus activities, play Frisbee on the lawn, hold on-campus jobs and attend class in the Orlean Beeson School of Education. The program helps transition students out of high school and helps them develop social and job skills. For more information, contact Donna Gardner.